Research in Death Studies is a new monograph series which focuses on the latest issues and findings within the areas of death, dying, and bereavement. This growing field of psychology has grabbed the attention of scholars, grief counselors, and clinical practitioners, and continues to be a popular area of study among undergraduate and graduate students. 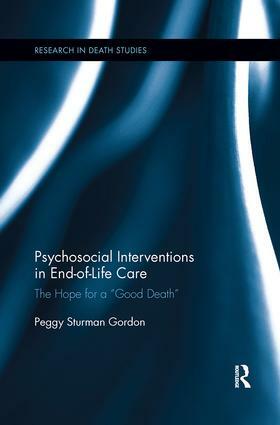 Books in the series explore such themes as counseling, clinical psychology, clinical social work, trauma and thanatology, among others. They are research-based and will appeal to academics, practitioners and students in the field. We are accepting submissions for single authored, co-authored, and edited collections. Please submit proposals to series editor David Balk (Dbalk@brooklyn.cuny.edu) and Karen Adler (Karen.Adler@taylorandfrancis.com).